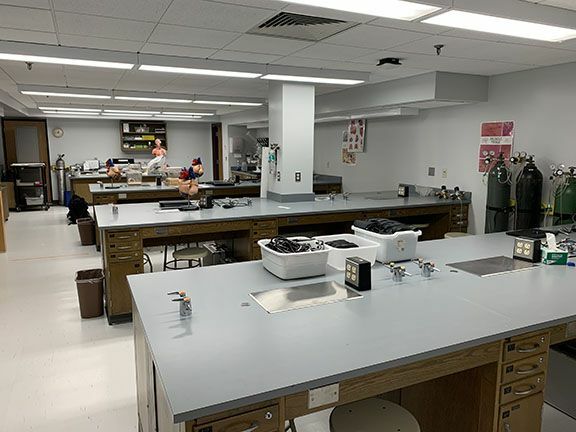 The animal physiology teaching laboratory is located on the 4th floor of Carnegie Science. Courses in Animal Physiology, Anatomy and Physiology, and Seminar and Research in Physiology are taught in this lab. Student workstations feature computer-based digital data acquisition systems.